So boasts the gravestone of a maker of mosaics from Perinthos, Greece, highlighting his superior abilities—divinely inspired, of course—and the great demand for them. This man died in the first or second century A.D., having lived to the ripe old age of 85, a significant achievement at a time when life expectancy was around 30 years. The mosaic craftsman left behind a son, Proklos, who is the only person named on the gravestone and was likely the dedicator. According to the inscription, Proklos was of “equal artistic skill” to his father, who probably trained him and with whom he may have worked, and rose in the local community to become a member of the city council. Gravestones of this kind offer fascinating insights into the working habits of craftspeople in the classical era, illuminating the satisfaction they took in their work, their desire for acclaim, the familial organization of labor, and the need to exploit the market. 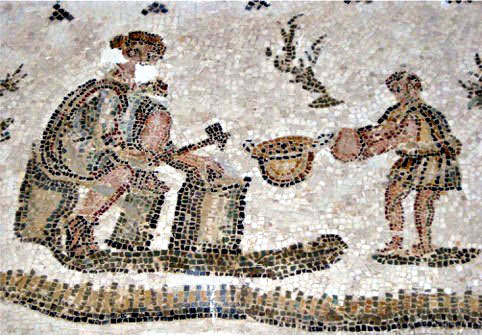 The lives of ancient craftsmen largely remain a mystery, but sometimes the archaeological evidence—and very occasionally images on the mosaics themselves such as that from El Alia, Tunisia—allows us to almost touch these people from the past. Inscriptions are found on mosaic pavements made for Roman civic buildings and private villas. These “speaking” mosaics provide the names of the people who made them or the groups to which they belonged. They sometimes tell of the difficulties involved in their making, and even the particular roles played by each person. A sixth-century A.D. mosaic from Thebes, for example, records Demetrios as the designer and Epiphanes as having executed the artwork “with great care.” Another mosaic, created in Vlisippara in Tunisia during the third century A.D., documents the pride of one Sabinianus, who made the mosaic without the help of a designer. The poor quality of the workmanship demonstrates that it might have been better if he had received some help! 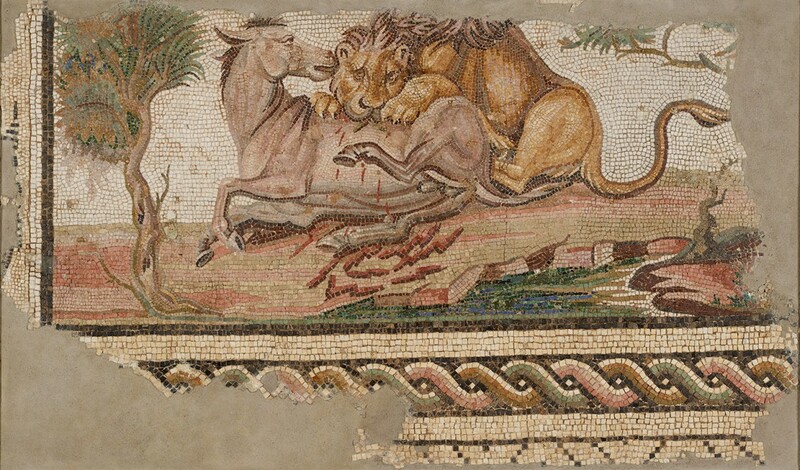 Detailed information about the craftspeople who made mosaics is quite rare. Literary sources occasionally mention mosaics, but these valuable written accounts are notoriously difficult to interpret. In The Lives of the Twelve Caesars, for example, Suetonius records that Julius Caesar brought tessellated and inlaid pavements with him on expeditions. 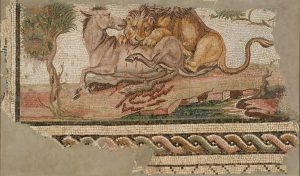 This is a statement about luxury more than historical fact, as mosaics have always played an important role as status symbols for the wealthy or social climbers. Whole pavements were not transported by Caesar’s retinue on the backs of elephants and camels, as one early commentator thought. 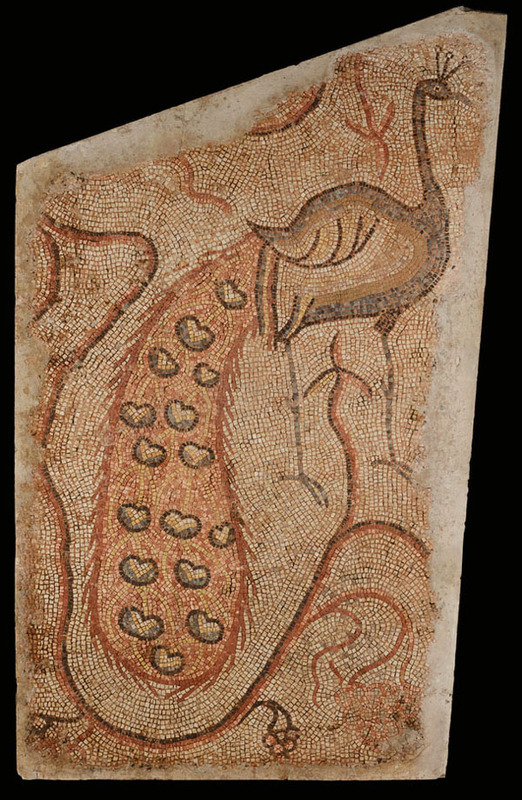 Instead, they likely carried small mosaics, such as emblemata (panels of up to about 20 inches created with small tesserae set in trays of stone or terracotta), and were probably accompanied by skilled mosaicists. Excavations below mosaic floors reveal the working methods of their makers, and, in some exceptional cases, the footprints of the individuals tasked with tamping down the mortar of the bedding layers. As such, we know that men, women, and even children were on site as these floors were made. The mosaics are the documents of their own manufacture, testaments to the skills of the makers who passed on their technical knowledge by word of mouth and by training their children and other members of the community. Another way of investigating art-making processes from the past is working with contemporary artists. 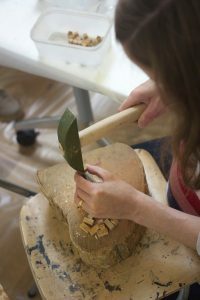 A recent project, The Art of Making in Antiquity, was a collaboration between academics at King’s College London (including myself) and Peter Rockwell, a sculptor and expert on historic carving. Together we examined Roman stoneworking to learn more about the relationship between the ancient makers and their tools and techniques. Of course, modern techniques do not simply correlate with ancient ones, as the history of artistic production is long, complicated, and ever shifting. But the experience of making a mosaic today can still help create a better understanding of historic approaches. The Getty Villa exhibition Roman Mosaics across the Empire examines this fascinating art form as it appeared throughout Italy, North Africa, Southern France, Syria, and Turkey. How were techniques absorbed and materials acquired to produce images that had a wide currency among the elites? By looking closely at the pictures and patterns of the mosaics on view, we see the true nature of the craft as a pointillistic and pixelated art form. Moreover, we realize that these mosaics were designed for particular spaces where they would be seen, walked on, and, above all, experienced.